In December 2003, I purchased an Air Force AMGeneral M35A2C from a friend's father-in-law down in South Carolina. 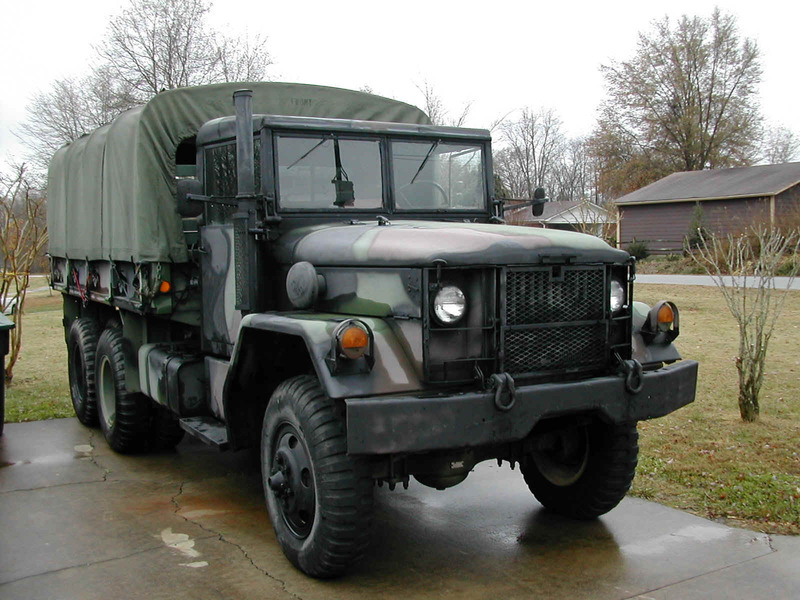 In January of 2004, I purchased a NCNG Kaiser M35A2 from a gentleman who had outbid me for the truck at a local auction, but who then had problems arranging to get the truck to his location in Louisiana. This truck has a hard cab, but is equipped with a spague (automatic) front axle engagement and a standard bed without troop seats or bows so it is a great candidate for the role of a water truck.